Pianist Uri Shaham offers “A Jazzy Evening of Pure Joy and Lots of Fun” at Best Video Performance Space on Wednesday, Nov. 30. The music starts st 8 PM and the cover is $5. In other words, a few of the busiest local jazz musicians gather for a swinging Friday evening of jazz standards and gooooooooood vibes. 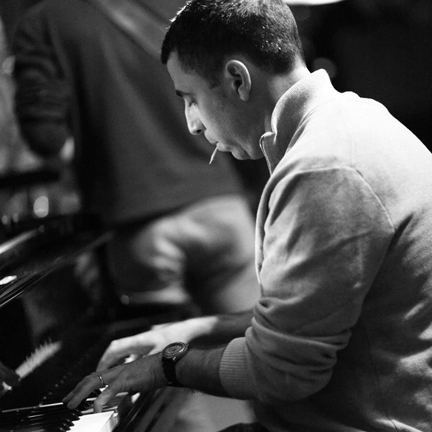 Shaham has been playing jazz for about 10 years, first in Israel and since two years ago, also here. He performs regularly in New Haven and the vicinity, in particular in The 9th Note and Cave a Vin. “I play mainstream jazz with strong Hard Bop Influences. Among my strong influences are jazz pianists Kenny Barron, Barry Harris, Hank Jones, Bill Evans, Wynton Kelly, Bud Powell, Red Garland, Herbie Hancock, Keith Jarrett and Chick Corea,” says Shaham. Although the show was originally announced as a trio performance, Shaham will actually be joined by Paul Shanley (bass), Jerry Cambria (drums), Chris DePino (harmonica), Billy Cofrances (alto sax), Mark Kaplan (tenor sax) and Gary Grippo (guitar). 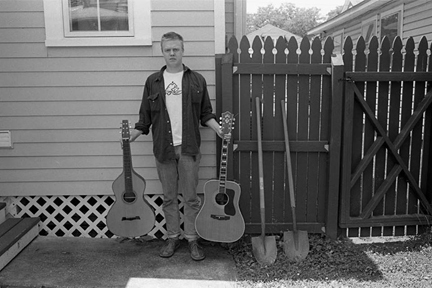 Daniel Bachman, a master of American Primitive guitar playing, performs at Best Video Performance Space on Wednesday, Nov. 23. The show starts at 7:30 PM and the cover is $8. 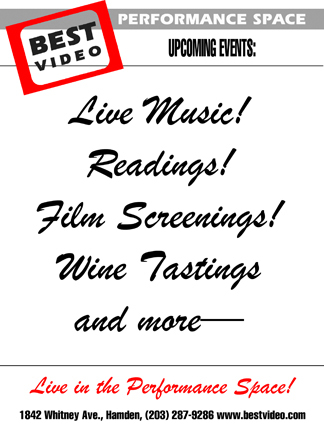 Tickets are available online through Brown Paper Tickets or at Best Video Film & Cultural Center. Alexander opens. “One of modern guitar’s most dynamic performers” returns for his second ever show in Connecticut. 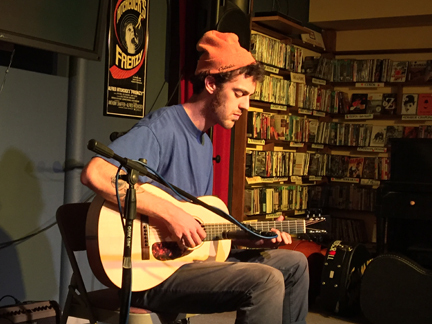 Daniel will be touring on his self-titled LP from Three Lobed Recordings. A true fingerstyle guitar/musical genius. Guitarist and former wunderkind Daniel Bachman, at 26, can no longer be considered precocious. On even his earliest recordings, released under the moniker sacred harp, Bachmans guitar prowess and compositional voice were staggeringly mature. There was something refreshingly novel about a guitarist not old enough to vote possessing such clarity of vision. But novelty wears off, and even the most big-eared benefactors are likely to become fickle and disinterested over time; the fans who do happen to stick around may begin to hold you to impossibly higher standards after all, youre not a kid anymore. Alexander is the acoustic performing monicker of David Shapiro. 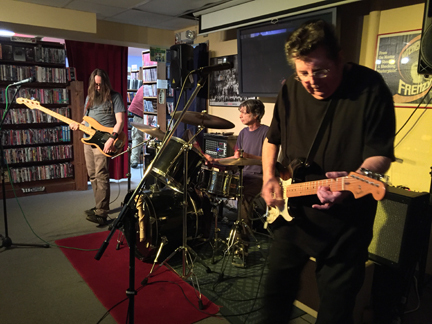 Shapiro plays electric guitar as Lituya Bay and also plays drums with Stefan Christensen & Friends. 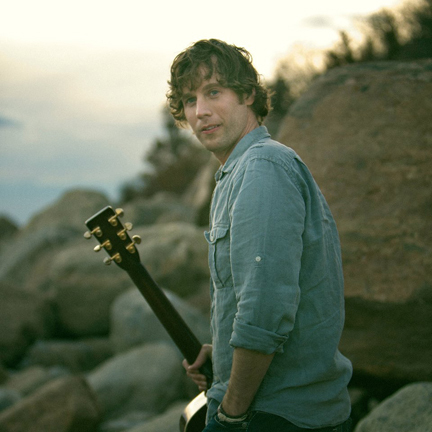 Fernando Pinto presents touring singer-songwriters Jesse Terry and Callaghan on Friday, Nov. 11. The show starts at 7:30 PM and the cover is $15 at the door. Jesse Terry is a singer/songwriter with an uncanny ability to weave tales of travel and homecoming, of sorrow and of redemption, into songs that are simultaneously timeless and fresh. Home is now the coastal village of Stonington, Connecticut, but Terry’s music reflects an amalgam of influences, from Nashville to Laurel Canyon. His melodic and lyrically-driven Americana fits naturally on a playlist between cuts from Jackson Browne, Ryan Adams, Josh Ritter and Neil Young. Terry is fresh off an appearance at Bonnaroo where he shared the stage with the likes of Gregory Alan Isakov and Guster. Bonnaroo also featured Terry on their 2015 NoiseTrade Mixtape alongside artists such as Brandi Carlile and Benjamin Booker. In August, Jesse performed four times at the legendary Philadelphia Folk Festival, whose headliners included Lyle Lovett, Arlo Guthrie and North Mississippi All Stars. The Grand Prize winner of The John Lennon Songwriting Contest and The CMT/NSAI Song Contest, Jesse has garnered worldwide acclaim including the elite honor of performing for US and NATO troops stationed at Thule Air Base in Greenland, and an official endorsement by Stonebridge Guitars International. Callaghan plays piano and guitar and delivers a stunning vocal which earns frequent comparisons with artists like Sarah McLachlan and Emmylou Harris. Her songwriting chronicles the stories, experiences and emotions which are part of everyone’s lives. A History of Now was entirely fan funded via Pledge Music and produced in Nashville by Dennis Matkosky. The new record showcases Callaghan’s gift for melody and impactful songwriting in a collection which ranges from uplifting, exuberant anthems to poignant, mesmerizing ballads. Rock trio Rope and roots rock duo The Tommys play Best Video Performance Space on Thursday, Nov. 3. The show starts at 8 PM and there is a $5 cover. The Tommys features Tom Hearn on guitar and vocals backed up by Tom Smith on percussion. 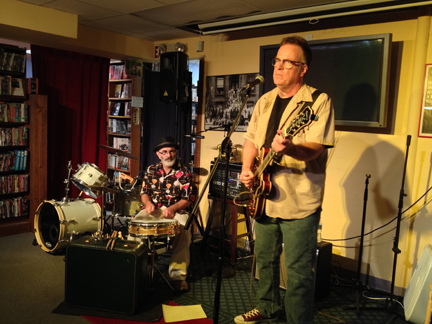 Hearn is best known as the front man of rockabilly group Big Fat Combo. A photographer, Hearn has had several gallery shows of his iconic pictures taken during the early years of punk rock. 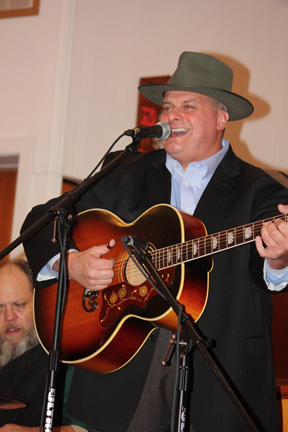 Tom Smith plays for many roots and blues groups (Cobalt Rhythm Kings, The Bandidos, The Hickups) as well as psychedelic pop band Happy Ending.